A little update on this week's reading. Trying to work on my long-neglected French reading skills. I was half way through this one before I realised that the peripheral character named Barbie was that Barbie (it was her home town of Malibu that tipped me off, and the little pink B on the cover suddenly made sense). I was pleased to make it through the whole book quite quickly since it's been a very long time since I've read anything in French. While I certainly wouldn't highlight this as a great piece of writing, it gave me an appreciation for beginner chapter books. This one perfectly suited my abilities at the moment in terms of vocabulary and grammar. The premise of the book is far-fetched; a nasty food critic with 48 hours to live searches for a taste that has eluded him. The descriptions of food preparation and consumption are guaranteed to elicit activation of the salivary glands. I found the succession of short, first-person narrations disorienting, and none of the voices interesting enough to really hold my attention. I am unsure about whether this is a result of something crucial being lost in translation. Perhaps if I continue to read more Barbie novels I will soon be able to tackle this in the original French. This book is an absolute joy which should be celebrated along with all the classics of the pioneer experience. Monica Hopkins was a young English woman who moved to a ranch near Priddis, Alberta after her marriage in 1909, and in letters to an Australian friend recorded the first 26 months of her experience. Her attitude shines from the pages; she tackles the hardships and isolation and discomfort of life as a lady rancher with an enthusiastic sense of adventure, good humour and without any hint of complaint or self-pity. She records the details of her daily life in the house and on the range, interactions with neighbours and trips to nearby towns (Calgary, Banff) with careful observation and a compelling writing style. I highly recommend this book, originally published by the Glenbow Museum in Calgary in 1982. Winner of the 1976 Governor General's Literary Award, Bear is the story of an archivist, Lou, who spends a transformational summer on an island in northern Ontario cataloguing the estate and library of Colonel John William Cary. * There she discovers that she is also responsible for an aged bear that has been held captive on the property. I was apprehensive to read this classic of Canlit because it has had more than it's fair share of controversy, but I really enjoyed it! 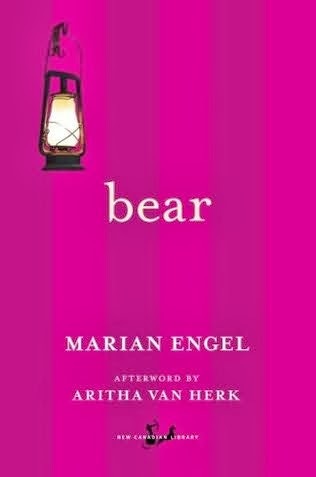 Bear reminds me a great deal of Margaret Atwood's Surfacing as the protagonist enters a fantasy world (sort of) where she struggles through a personal identity crisis that very much reflects the gender inequities of the time. A interesting combination of books! 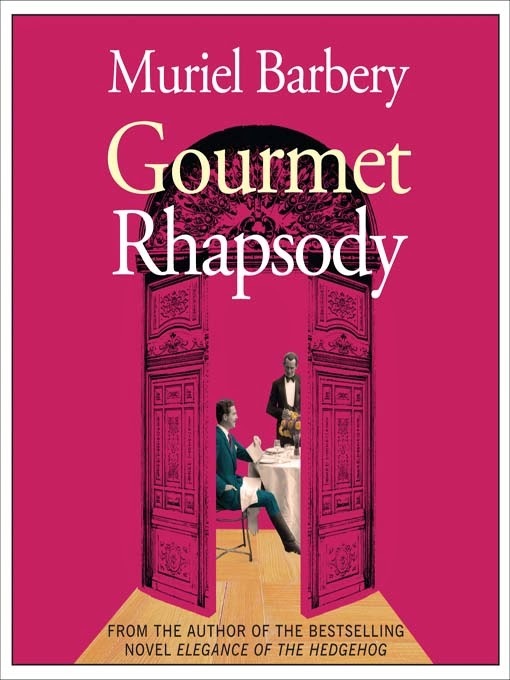 The premise of Gourmet Rhapsody sounds very good. Too bad it ultimately was a disappointment. Bear sounds very good, particularly because of your comparison of it to Surfacing. Letters from a Lady Rancher sounds like it should be a Virago Traveller! It's always a joy to discover unusual and unsung books! You are right! 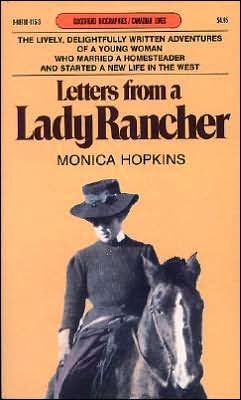 "Letters from a Lady Rancher" would make an excellent Virago Traveller. I honestly cannot recommend it too highly. I really wish I could have known Monica Hopkins - she would be such a FUN friend! Hee hee. Barbie and Barbery: I love it. My French reading sound like it's about the same level as yours, and I bet Barbie is easier than my recent attemp at Harry Potter...turns out there is a highly specialized magicky vocabulary of which I know nothing. FWIW, I've had good luck reading French graphic novels for teens and adults. Maybe it's down to the number of words on the page. ;) Good luck with the rest of your February reading! What a good idea! I remember reading a lot of French Archie comics when I was little. We'd buy them whenever we were in Quebec. I think a major appeal was the fact that they were black and white so I'd colour the images myself; my French in those days was not even up to Archie standards I'm afraid. I'll have a look at the library for French graphic novels. Thanks.